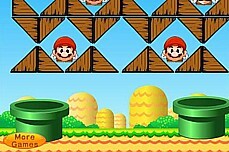 Luigi has been imprisoned! 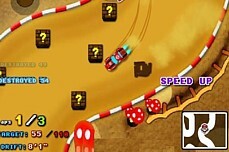 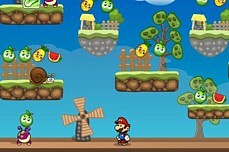 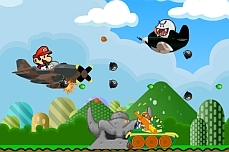 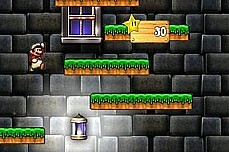 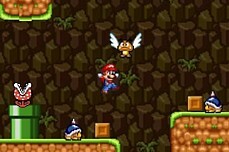 Mario must free him by clearing 8 levels of platform jumping enemy crushing madness. 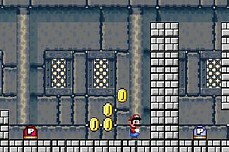 If you've never played a Mario save game before, try the tutorial. 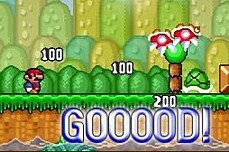 It's a pretty simple concept. 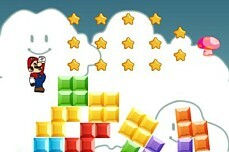 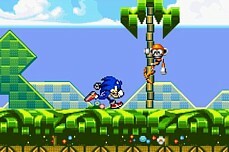 Collect all the coins in each level to reveal the star. 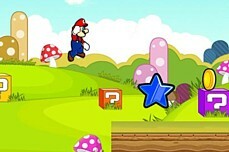 Then grab the star to beat the level. 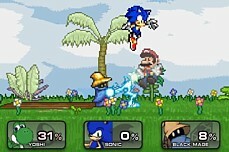 This is the ultimate Super Smash Bros. flash game with 4 game modes & 12 characters to chose from! 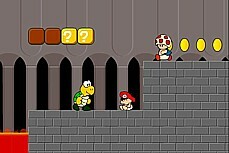 Koopa just wanted to chill with Goomba but Mario & his pals crashed the party. 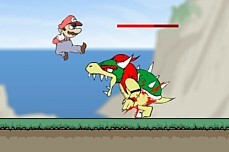 Now it is time for revenge! 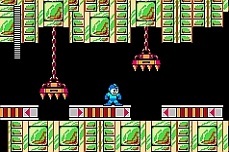 24 more puzzle solving levels. 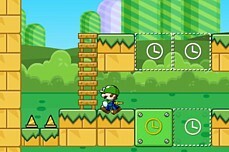 Manipulate the Luigi robots to the green exit door on each level. 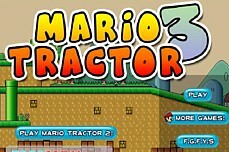 Much harder than Mario Go Adventure. 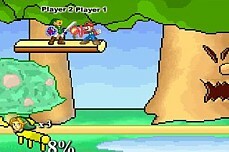 Luigi is sick! 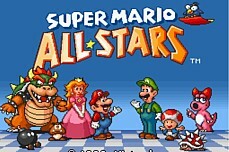 Mario must get his brother to collect any stars then visit the hospital which is easier said than done. 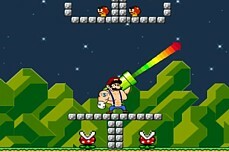 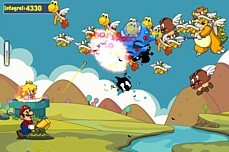 Shoot your bazooka at just the right angles to knock your foes dead. 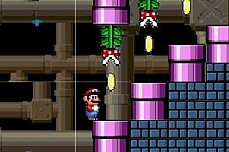 You only get a limited number of shots in each level. 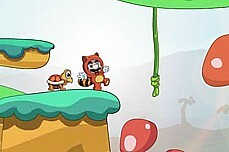 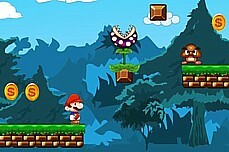 An endless runner where you must time your jumps to avoid falling into the pit. 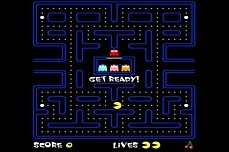 See how far you can go before you die. 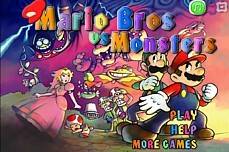 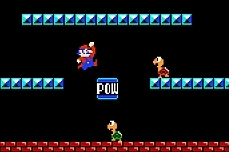 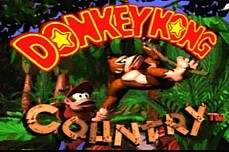 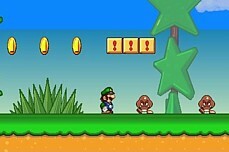 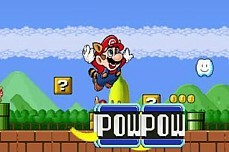 A puzzle game featuring Mario and Luigi. 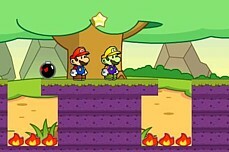 Make any and all Marios and Luigis fall into the buckets by clicking the right boxes.